What a cute page, Liz! Of course, your son is such a cutie, but I also love the bright summery colors of this line. And I love what you did with the waves! Cute use of the beads, too. Thanks for a fun idea! Love the layers!! STUNNING use of the paper. What a fantastic layout! I love the way you used the beads, super cute! Loving those fussy cut waves. Beautiful!!! Very cute. I love the colors and the use of the beads. One of my fav linew too! Love all the shimmer! really nice!! so summery and fresh!! Wow. I just love those waves. Awesome layout. this page is gorgeous! I love the waves and the beads are amazing! i love how you made them look like sand on the beach! Thanks for the fab summer inspiration! Oh I love this! 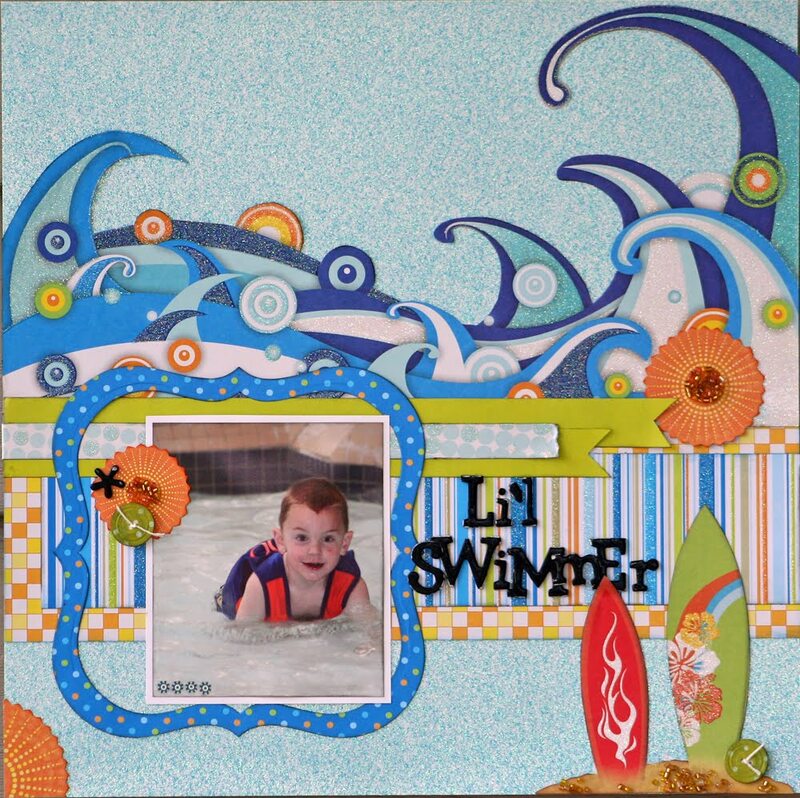 Such a fun layout, and I love all the layers with the waves, so cool! Splish Splash what an amazing layout! luv BC's glitter card stock - the beads add that extra zing! Liz this page is adorable!! I love all the details you added ! I am loving this paper line, perfect for summer layouts!! I love how you made the sand out of beads too!! What a cute page. I love the bright summery colours of this line. And I love what you did with the waves! Cute page! I love all those waves! And the beads are really cool! I have so many pictures that would work with these great new lines. Loved your layout! I love that line too!!! What a fantastic LO!! What a fun page!! Love it! 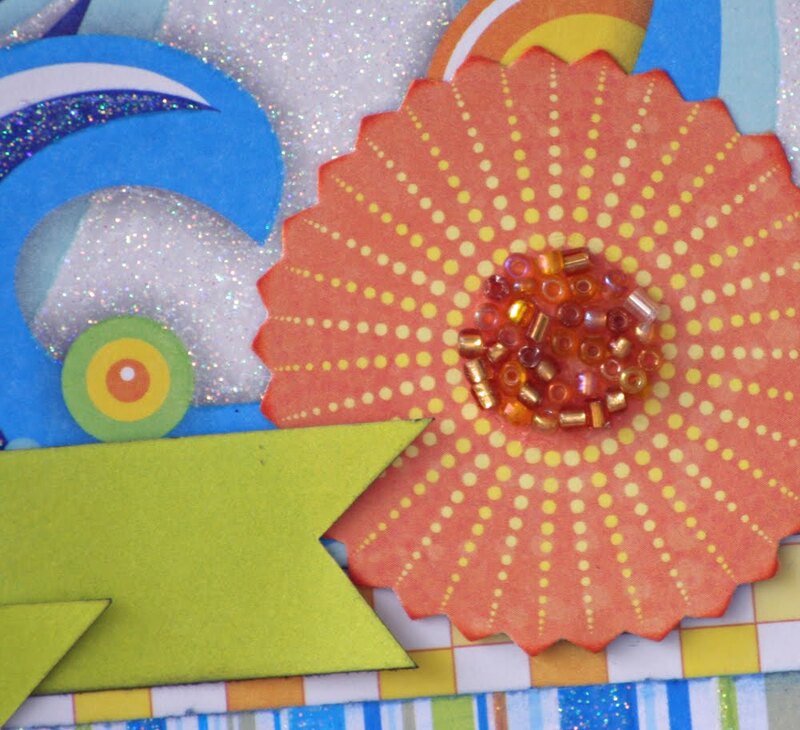 That's one of my fave lines, too and your addition of beads is fabulous colour and texture! Wow Liz - what a stunning layout with the most gorgeous pp's. thanks for the inspiration. wow what a cool page. 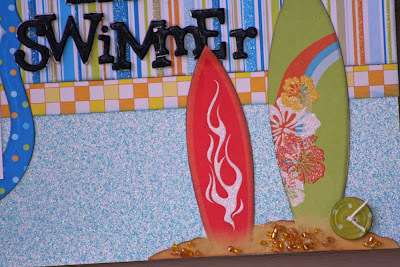 love the waves at the top and those surfboards are very cute. oooooh what a happy summery page!! Absolutely adore this layout, and the beads add such a charming touch. Love the waves and the use of the beads.